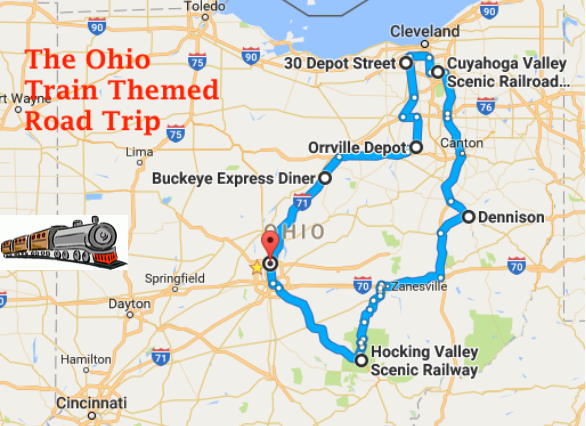 If you’re a train enthusiast, Ohio is the state for you. The total trip takes a little less than 8 hours to complete. We’ve designed it in a loop, so you can start with the location closest to you. 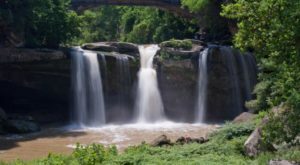 To view a Google Map of the trip in a separate tab or window, click here. 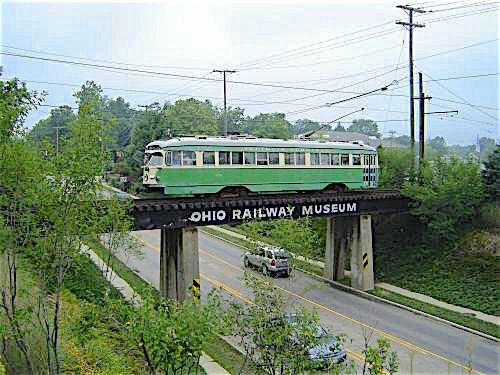 If you're able to, start your trip with the Ohio Railway Museum. 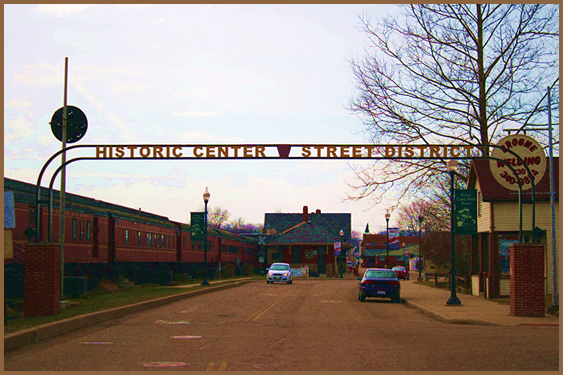 This railroad, train station and museum features an impressive collection of more than 30 pieces. On select days, the museum offers round trip demonstration rides on some of the streetcars and interurbans. The museum also features several holiday and seasonal rides, such as the popular Ghost Trolley. For more information click here. 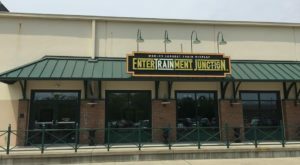 For lunch, make a stop at Buckeye Express Diner, where you don't necessarily have to board an operating train for a locomotive themed dining experience. If you take exit 165 off of Interstate 71, you'll find this iconic not-your-average diner. (Note: Michigan fans must park across the street.) 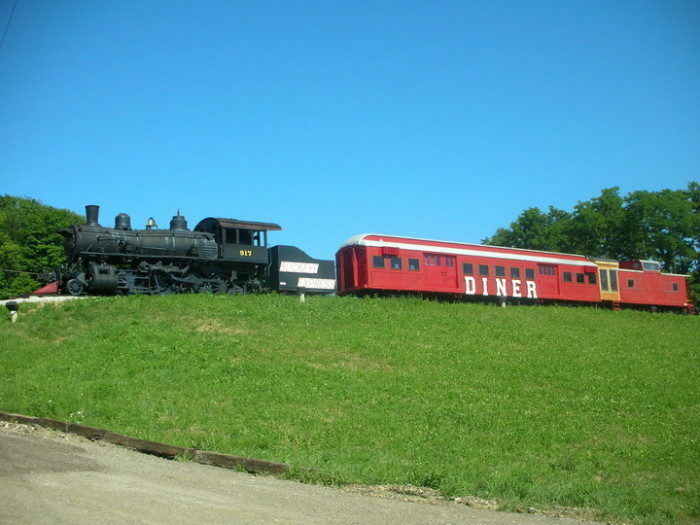 Buckeye Express Diner is located at 810 State Rt. 97 W., Bellville, OH 44813. 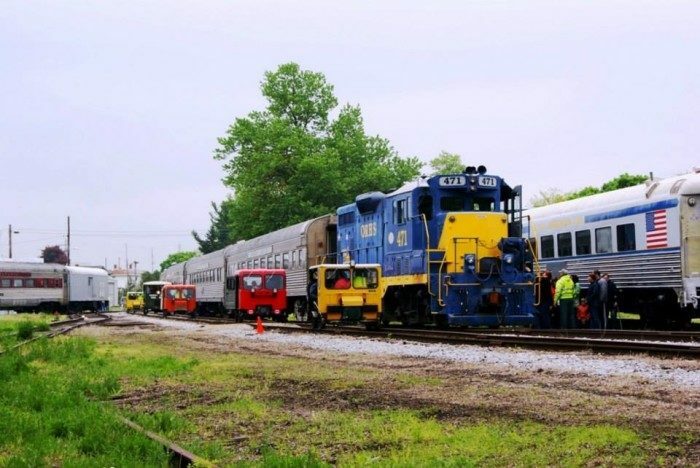 The Orrville Railroad Heritage Society features several train ride excursions and events open to the general public such as Spring Circle Trips, National Train Day, Orrville Railroad Day, Fall Foliage Trips and more. To learn more about when the train will run this year, click here. End your day with dinner inside a former train depot. 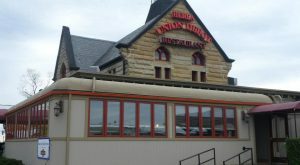 The Berea Union Depot Restaurant in Berea, Ohio features a unique dining experience inside a historic train depot alongside active railroad tracks. 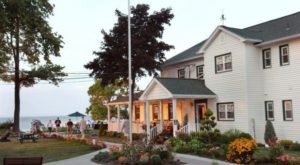 What was once a bustling railroad hub in the late 1800s is now a family favorite restaurant where visitors can enjoy the history, unique atmosphere and passing trains. 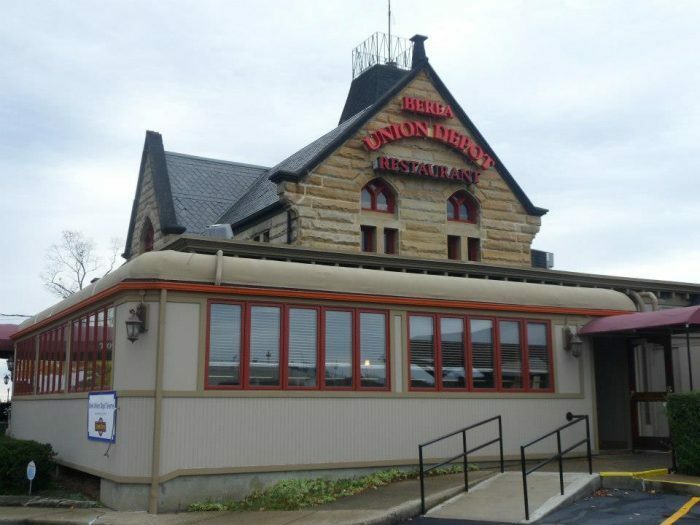 The Berea Union Depot Restaurant is located at 30 Depot St., Berea, OH 44017. 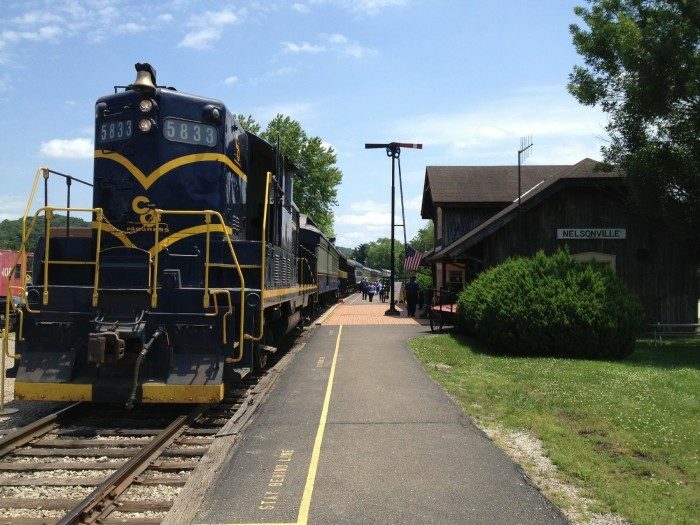 Enjoy cocktails on the rails, brunch or a murder mystery dinner via the Cuyahoga Valley Scenic Railroad and its special events. 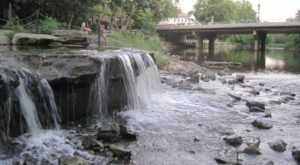 You can also take a scenic ride through the Cuyahoga Valley National Park on Saturdays and Sundays throughout the year until the first weekend in October. For more information click here. 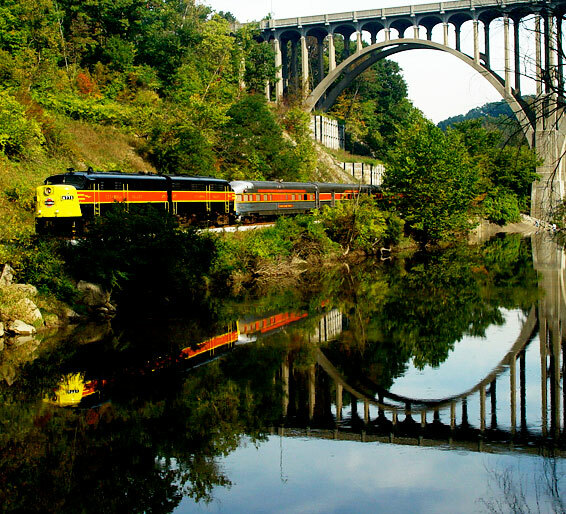 End your trip with another scenic train ride in the rolling hills of southeast Ohio. 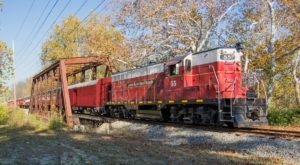 Operating train rides through the Hocking River Valley between East Logan and Nelsonville, this scenic railway features several holiday and seasonal events as well. 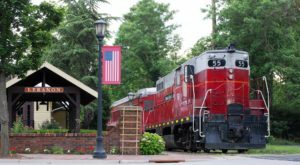 Trains also operate every Saturday and Sunday between Memorial Day and the last weekend of October. For more information click here. What do you think of this trip? Would you take it? Share your thoughts with us! 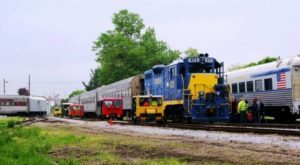 For more Ohio train rides, check out our previous article: 8 Epic Train Rides In Ohio That Will Give You An Unforgettable Experience.